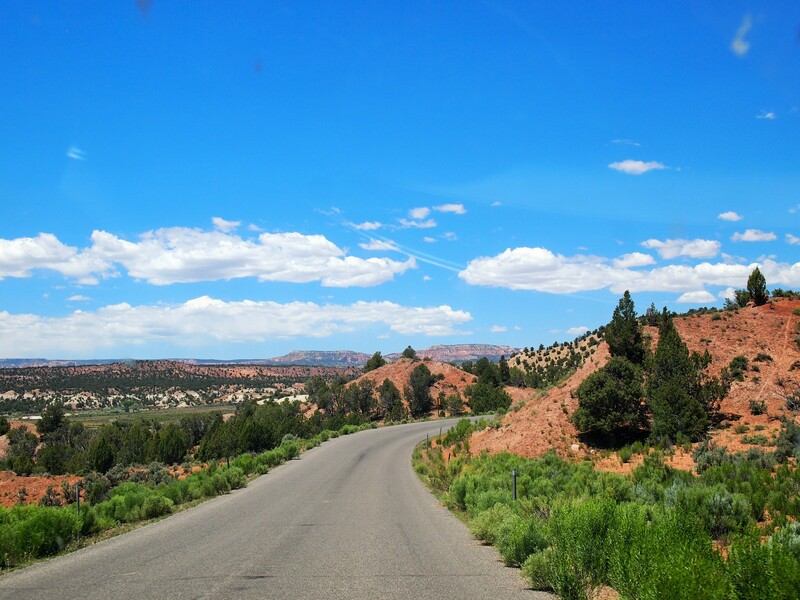 Scenic Byway 12 traverses an incredible stretch of land from Torrey and Capitol Reef National Park to Red Canyon in Dixie National Forest. The entire byway is 124 miles and is almost entirely surrounded by public land making it a prime route for outdoor adventure. 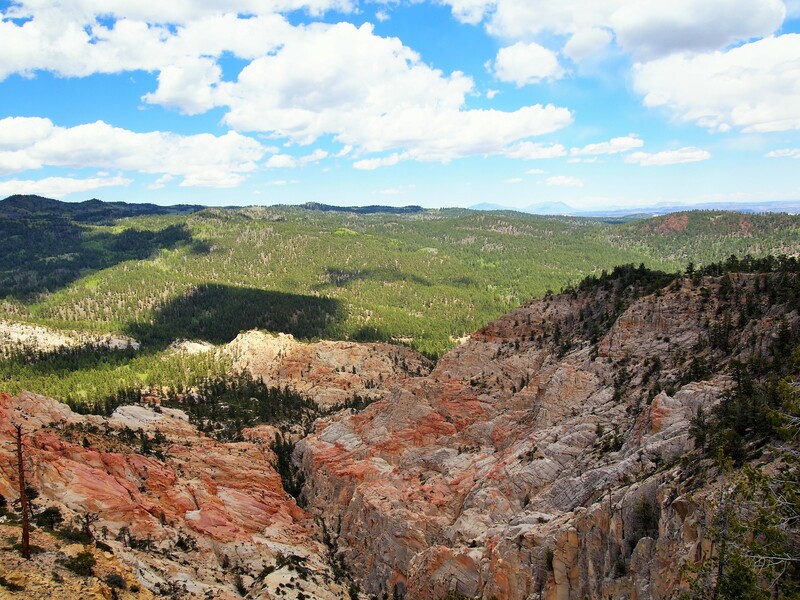 For the majority of the route, the road is either within the boundaries of Dixie National Forest or Grand Staircase-Escalante National Monument with a small section in Bryce Canyon National Park. It’s a wonderful way to become acquainted with the area, but it’s truly just a jumping off point. While many people follow Byway 12 west to east, we did the opposite and began in Torrey. At the junction of Byway 12 and Highway 24, we picked up a route guide from the Torrey Visitor Center which proved immensely helpful. The guide had short descriptions of each point of interest, town, and visitor’s center along with a fold-out map. 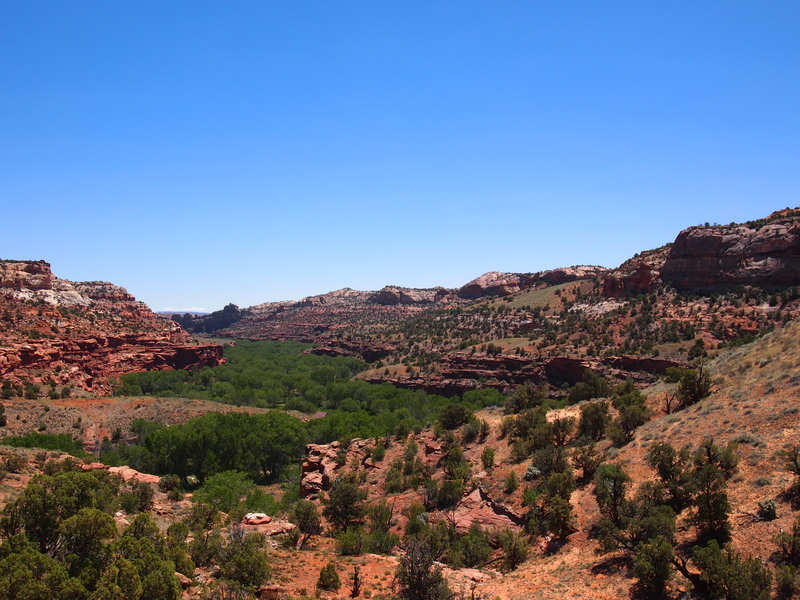 Our first leg of the trip on Saturday – Torrey to Escalante – took us to several scenic overlooks, up into Boulder Mountain, and down Hell’s Backbone Scenic Backway. 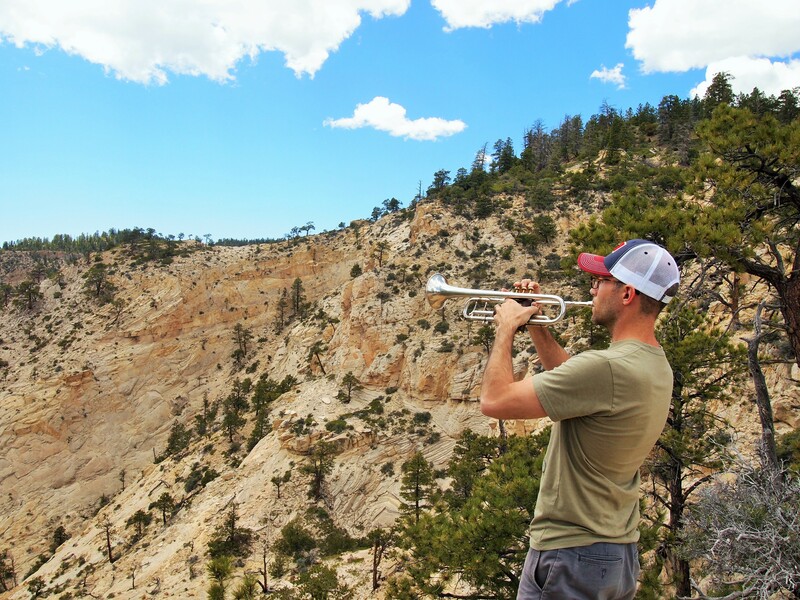 From Torrey to the first overlook, Larb Hollow, the road climbs up into Boulder Mountain, part of Dixie National Forest. 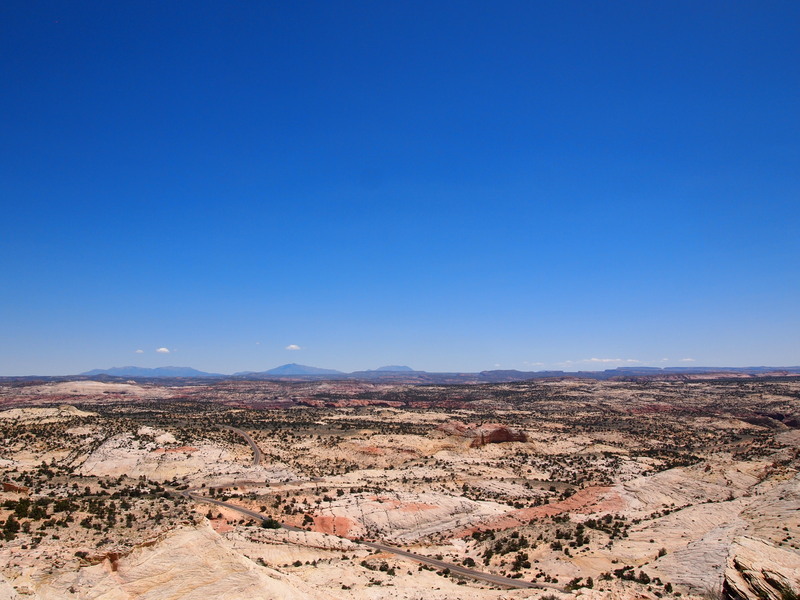 From the overlook we could see the Henry Mountains, the waterpocket fold in Capitol Reef National Park, and Brown’s Reservoir. 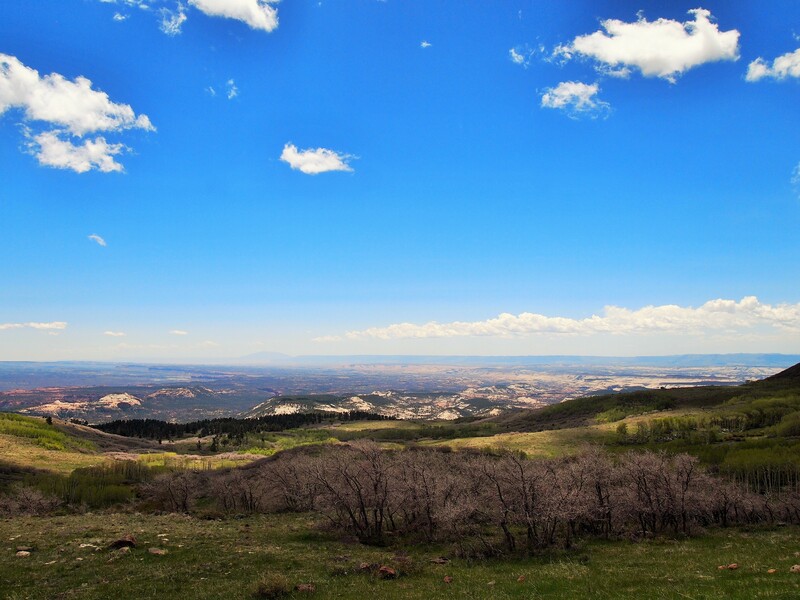 The second overlook, Homestead, expanded that same view and extended it to the Kaiparowits Plateau from our perch at 9,400 ft. 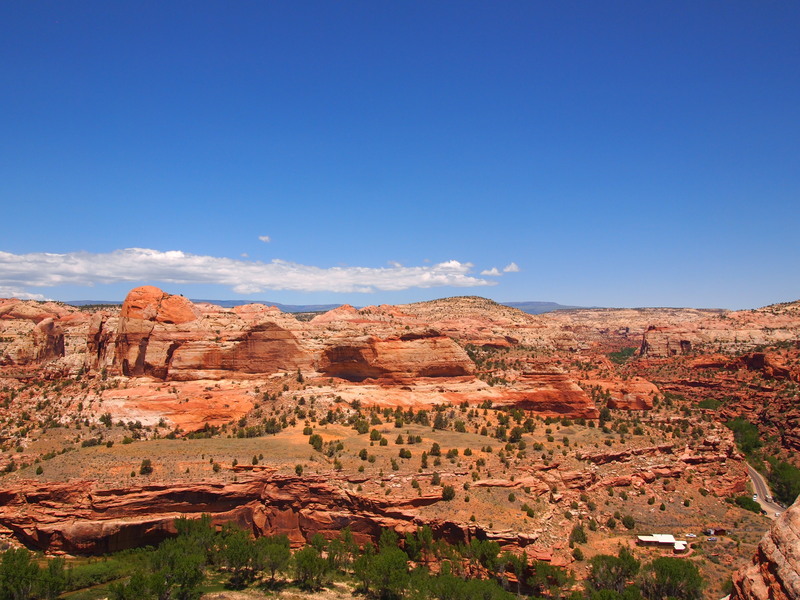 The first town after Torrey is Boulder, one of the hearts of Grand Staircase-Escalante. Boulder was long an isolated community. 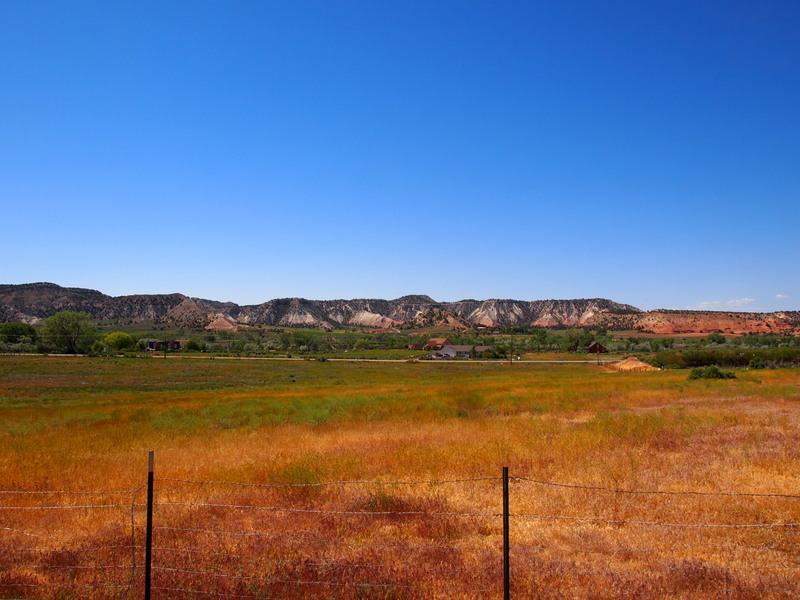 Once referred to as the “last frontier in Utah,” Boulder wasn’t connected by road to the nearest town, Escalante, until 1933, and its mail was delivered by horseback until 1935. 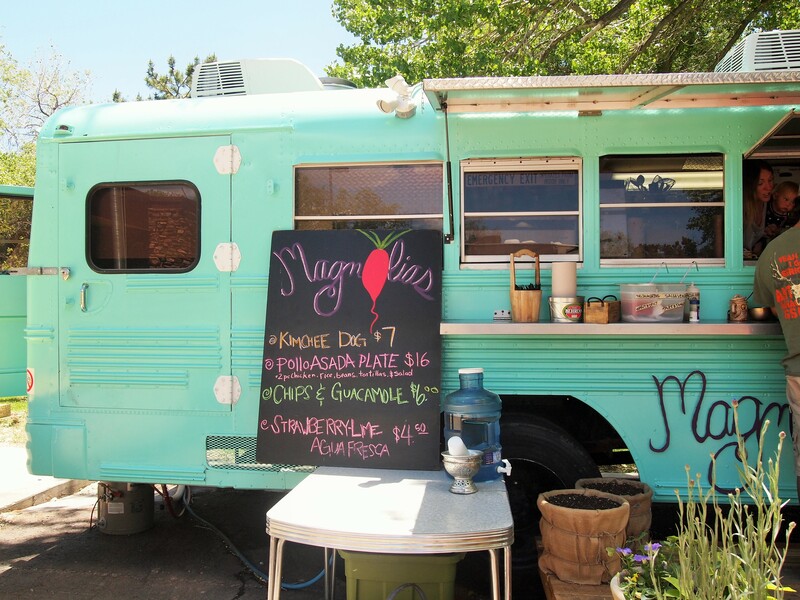 Boulder has several restaurants, lodging, fuel, and snacks for those travelling along Byway 12. It’s a good stop along the way or a good base to explore the area. 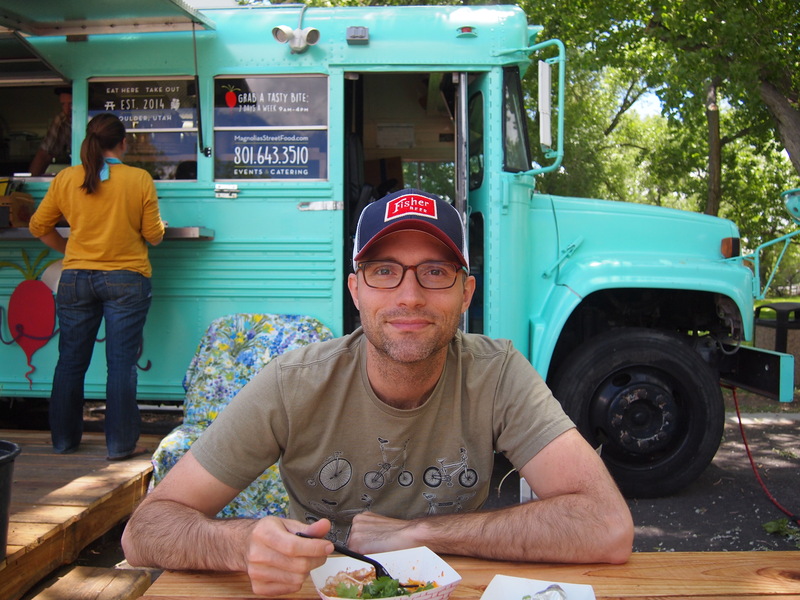 We stopped in Boulder for lunch on Saturday and Sunday enjoying delicious meals at Magnolia’s Street Food and Hell’s Backbone Grill. 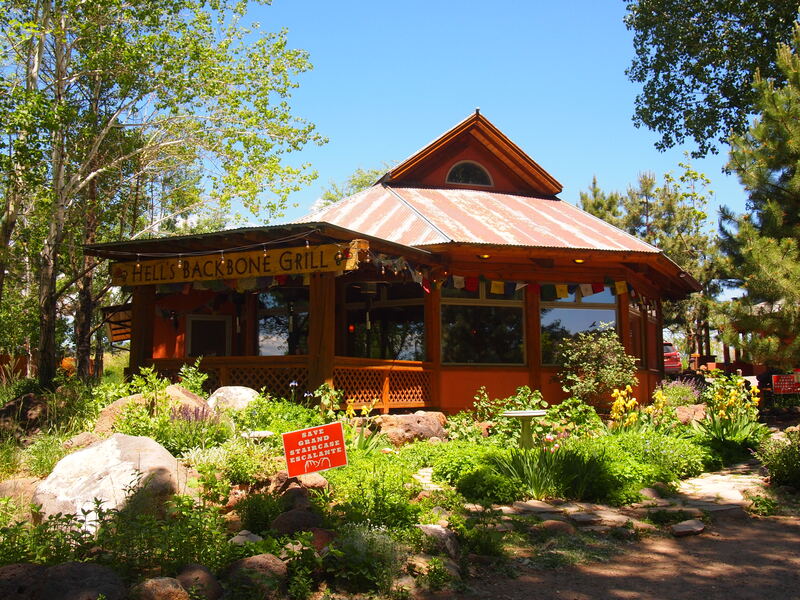 From Boulder, there are two options: continue along Byway 12 to Escalante or use Hell’s Backbone Scenic Backway. We were able to do both since we were staying in the area, but if you can only do one, I recommend the Byway. We travelled Hell’s Backbone on Saturday and came back to Boulder via the Byway on Sunday. 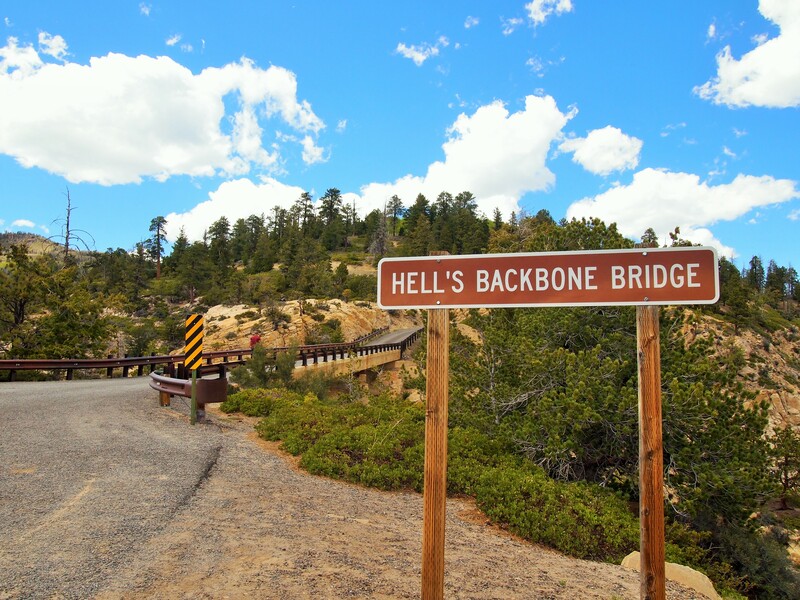 Hell’s Backbone, the first road for vehicular traffic between Boulder and Escalante, was built in 1933 by the Civilian Conservation Corps (CCC). The 44 mile gravel road provided a quicker link between the two towns in the summer but in the winter the road was closed to travel. 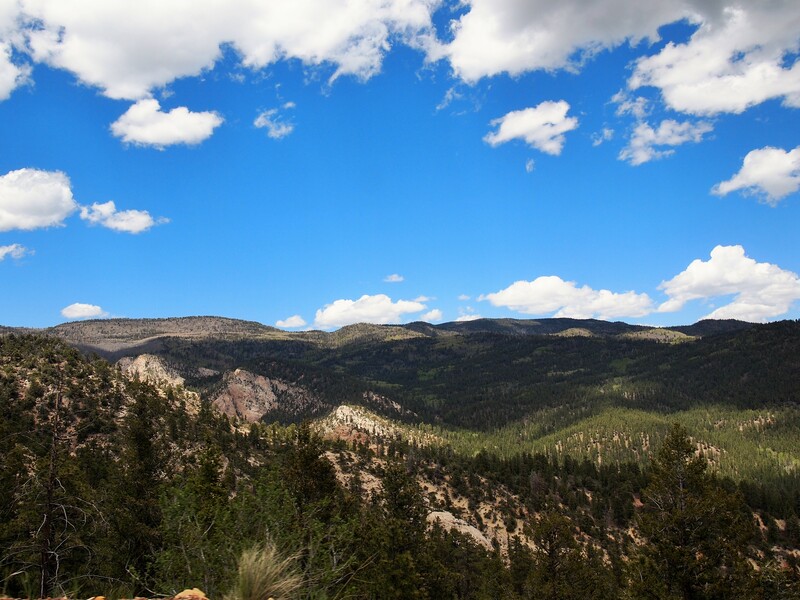 The road begins just outside of Boulder and travels through Dixie National Forest, skirting the Box-Dead Hollow Wilderness to the south. It’s a gorgeous drive. 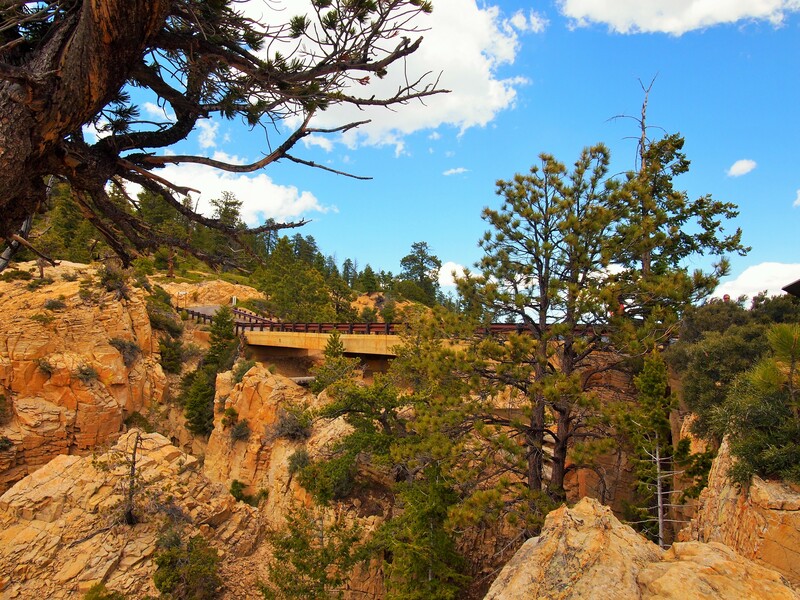 Much of the road travels through a dense forest of Ponderosa pines until you reach a ridge with a decent view and then ultimately, the road’s crown jewel, Hell’s Backbone Bridge, which straddles a stunning rock landscape below. Even after the opening of Hell’s Backbone, citizens had to use wagon trails through the canyons in the winter to reach either town. The CCC began construction on an all-season road in the canyons in 1935 and finished 5 long years later in 1940. Lower Boulder Road at last provided a year-round route between the two towns. 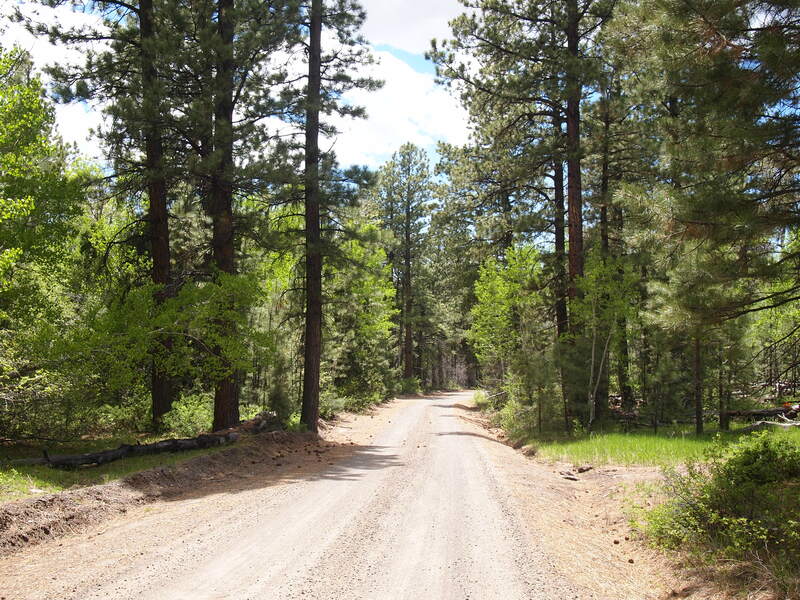 Today’s Byway 12 incorporates part of Lower Boulder Road. 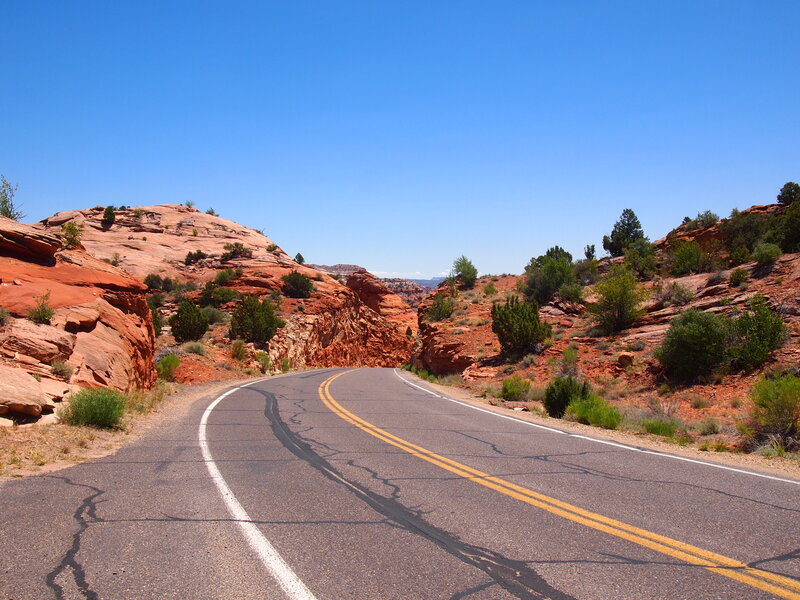 The Byway from Boulder to Escalante is the most stunning portion of the road in my opinion. 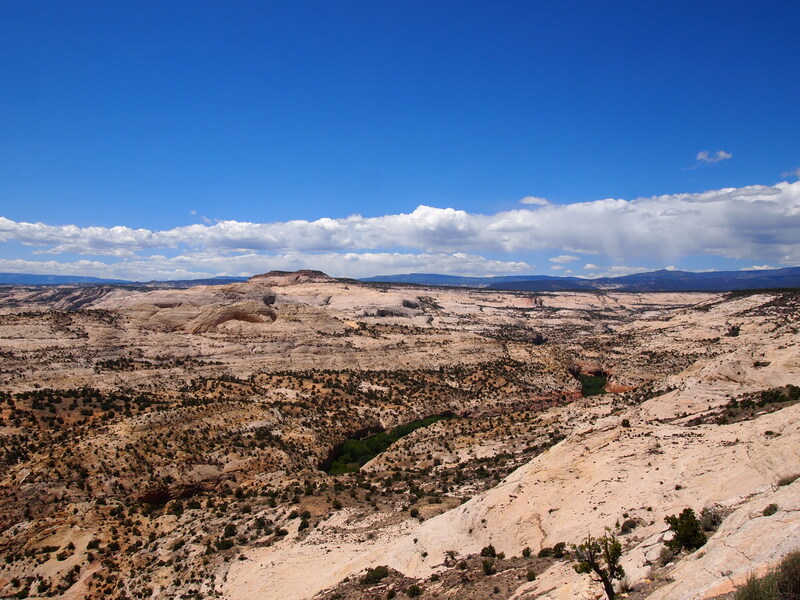 Most of the route travels through Grand Staircase-Escalante and provides absolutely mind-blowing vistas of the monument. The road travels over the thin ridges of slickrock called The Hogsback, to the lush green canyons of Calf Creek Recreation Area and the Escalante River, then back through cream and red colored slickrock to Boynton Overlook, and finally up to Head of the Rocks Overlook, a mesmerizing vista of color that bewilders the mind. It’s impossible to capture; one just has to visit and see it for themselves. 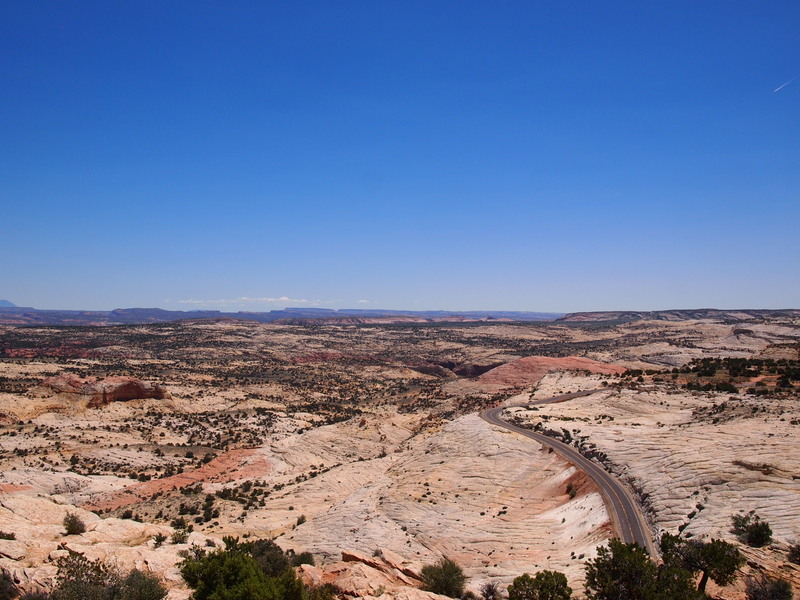 On Monday morning we left Escalante to continue our journey down Byway 12. Our first stop was the The Blues Overlook. 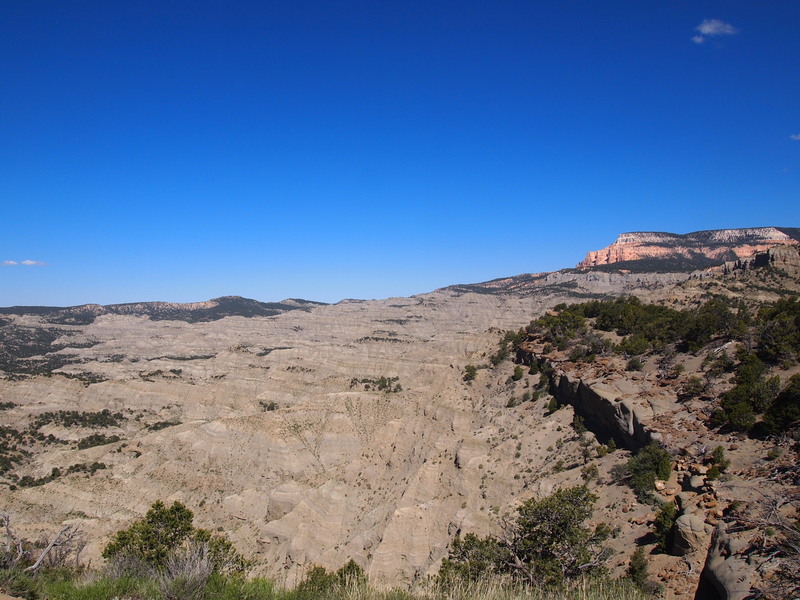 Here we could see The Blues, the gray shales created when an inland ocean covered the area, and Powell Point, an example of the top “stair” or layer of the Colorado Plateau’s Grand Staircase (hence part of the monument’s name). 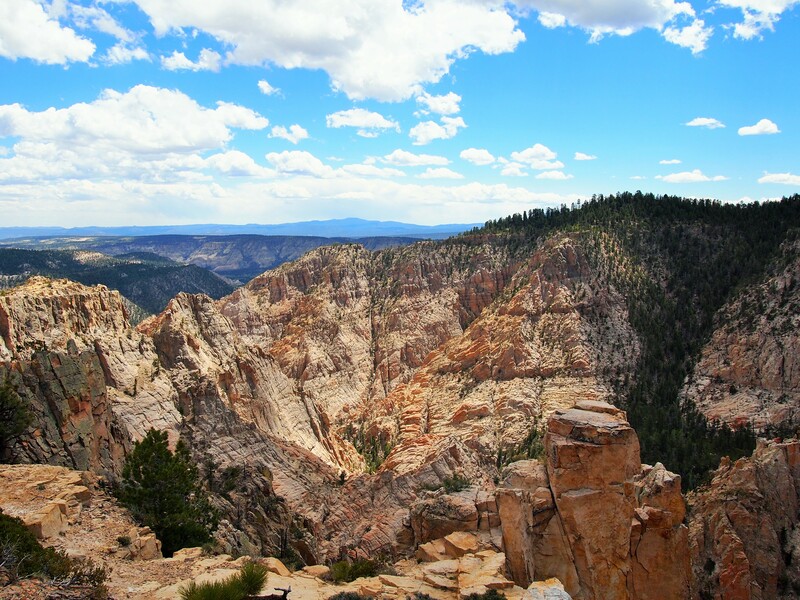 The top stair, the Pink Cliffs, became much more evident as we drove farther down the Byway toward Bryce Canyon National Park. 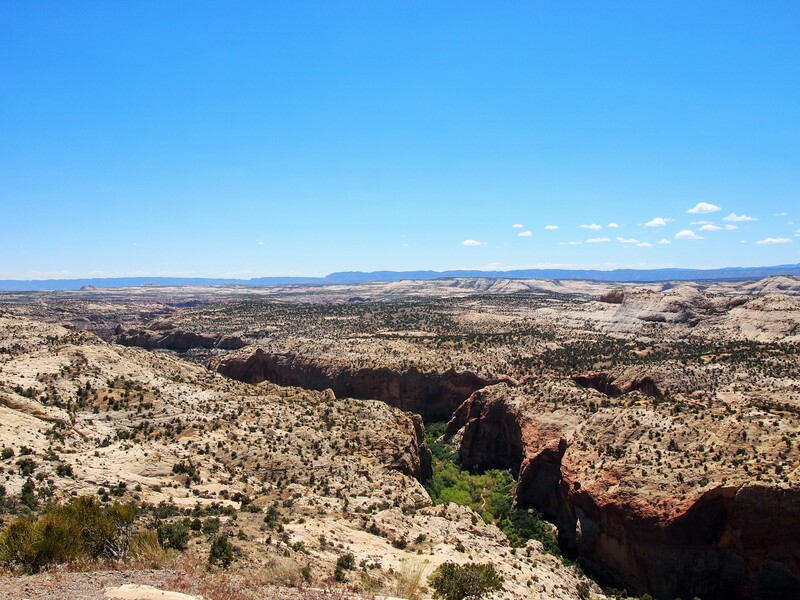 The point is named for John Wesley Powell and the Second Powell Expedition which surveyed and mapped this region, one of the final areas in the United States left off the map. Byway 12 follows the Second Powell Expedition’s same route from Head of the Rocks to our next town, Henrieville. 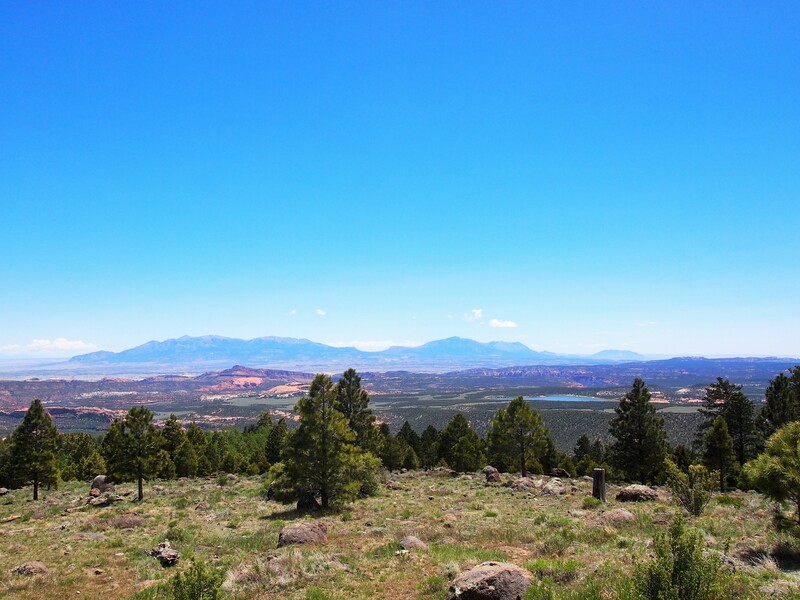 From Henrieville, the Byway travelled to Cannonville, another base for exploration into Grand Staircase-Escalante via Cottonwood Canyon Scenic Backway and home to Kodachrome Basin State Park where we stopped to do a hike. 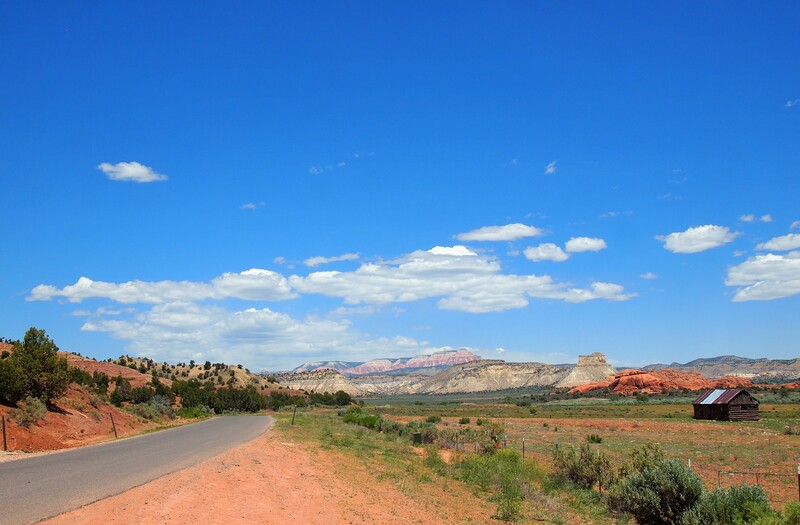 Cannonville is the last outpost for the monument as the Byway continues west through Tropic and Bryce Canyon City which cater to the national park crowd. 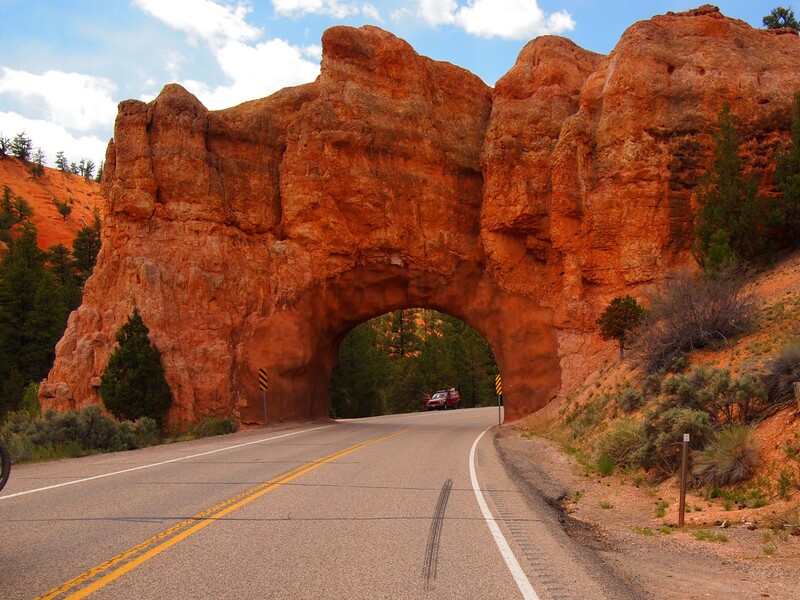 Byway 12 does briefly cross into Bryce Canyon National Park. 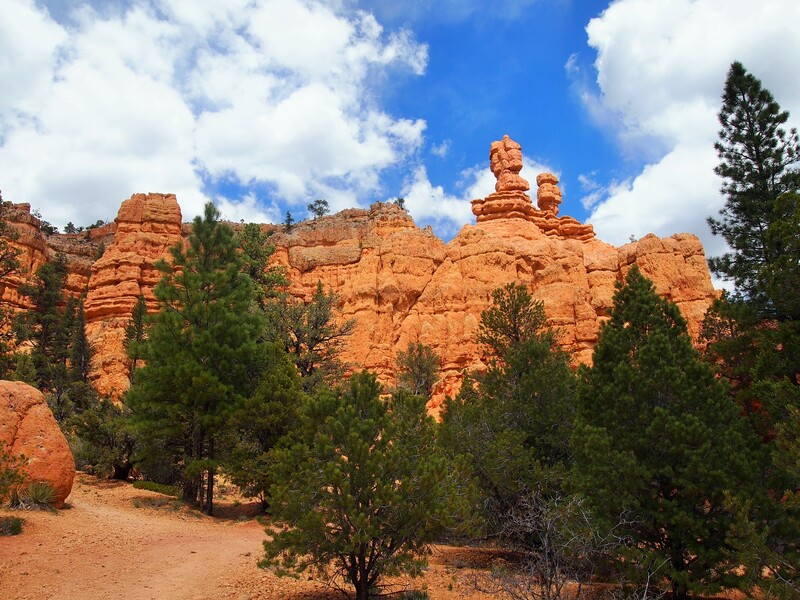 The scenery is stunning and there is no mistaking that you are in Bryce Canyon. There is also a very short 0.4 mile hike located immediately off the Byway – Mossy Cave Trail. I couldn’t resist doing a first hike in the park no matter how small, so we completed the short trek. I cannot wait to go back to Bryce Canyon, agh! 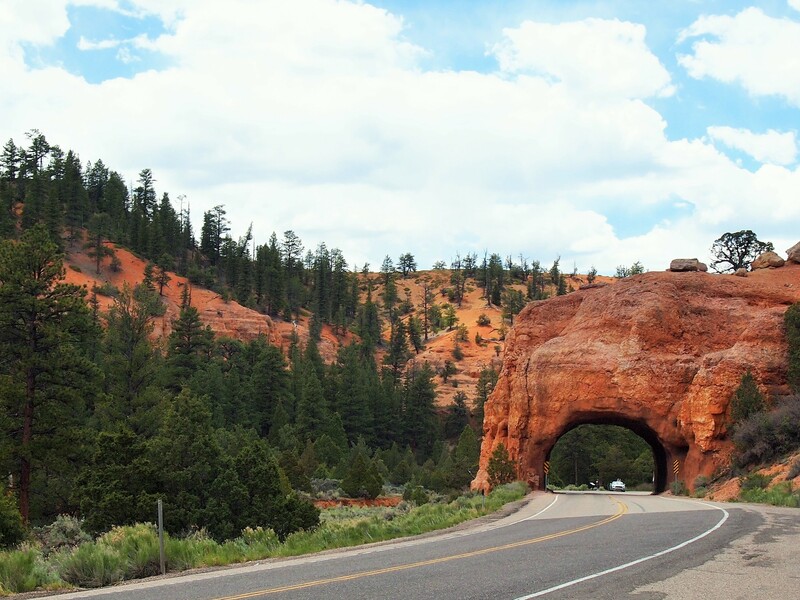 After the high of Bryce Canyon, the Byway has one more surprise – Red Canyon. 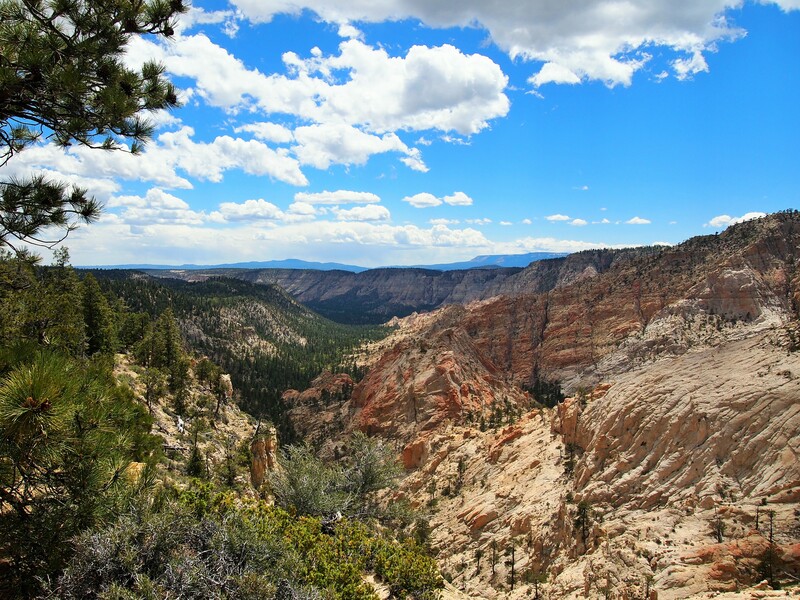 Part of Dixie National Forest, Red Canyon is like a miniature Bryce Canyon right off the Byway. 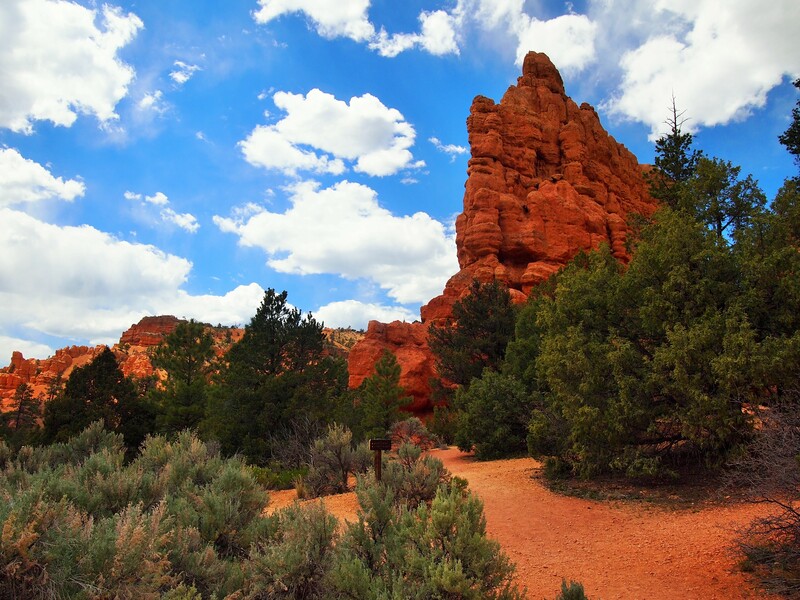 With the same geological features carved into the Claron limestone as Bryce Canyon, Red Canyon is a delightful passageway and would be a lovely place to camp for a while. With more time, we would have hiked some of the short trails off the road. The striking colors of the limestone – red, orange, pink – are a result of rust. Mix those colors with the deep green of juniper and pine trees and it’s an intoxicating combination. The tunnels of limestone were one of the most surprising attractions of the entire route. What a fantastic end to our tour of Scenic Byway 12!